In an exciting evening of music and words, Berklee celebrates Mogol, one of the most successful, inspiring, and prolific lyricists of the Italian popular music scene. 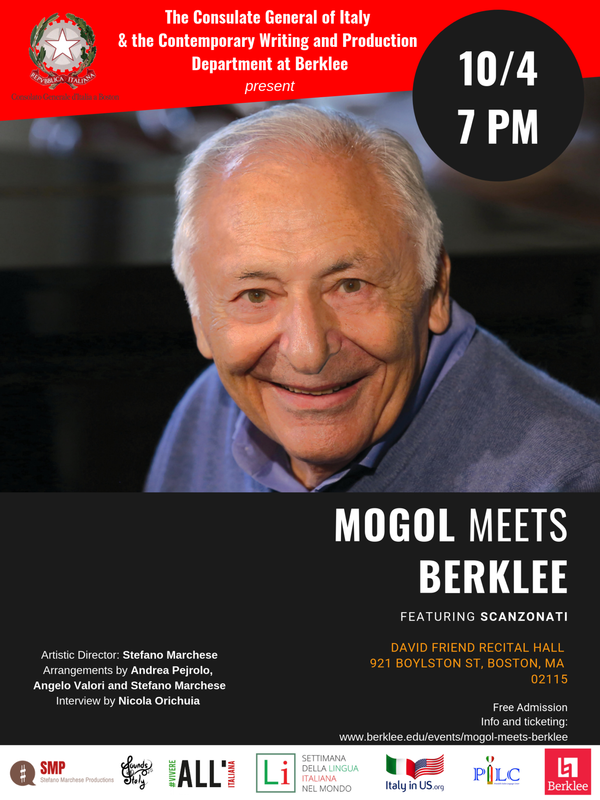 Join us to participate in a unique interview with Mogol and listen to some of his most famous songs, performed by the band Scanzonati. Admission is free, RSVP is required.